Solah Somwar Vrat is observed for sixteen consecutive Mondays and is dedicated to Lord Shiva. A devotee can start Solah Somvar Vrat on the Shukla Paksha (waxing phase of moon) in any month. But devotees usually begin the fasting in Shravan or Kartik month. Solah Somvar Vrat is observed by women to get good husbands and many also observe it when they are blessed with a good married life. 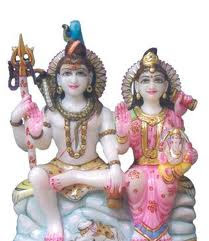 It is also believed that observing this Vrat will help in getting one’s wishes fulfilled.During this fast sixteen consecutive Mondays are devoted to Lord Shiva. However, married women and males also observe this fast, but for different reasons. Married women observe it for long married life, and men for happy and peaceful life. Solah somvar vrat can be started in any month during the Shukla Paksh phase (bright lunar fortnight). Some devotees even opt for the Chaturmas period for observing this solah somvar vrat. The fast begins at sunrise and ends at sunset. Generally partaking of one-time meal is allowed, but some like to observe fast for complete 24 hours. You can have nuts, milk and fruits during the fasting day, still some believe to observe the fast empty stomach. Read later part of this article for more details. Let’s begin with narrating the historical significance of this vrat first. Following is a Katha, which solidifies the belief of devotees, also the reason behind to observe this fast. Once Lord Shiva visited the famous city of Amravati. 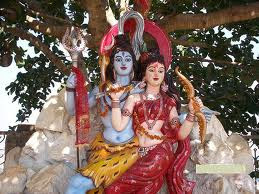 Parvati also accompanied him. On their way, they saw a beautiful Shiva temple and decided to spend some time there. 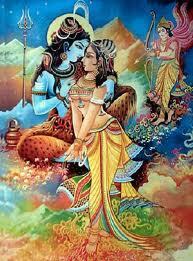 One day, Parvati found Lord Shiva in a playful mood. She said to him, Oh my Lord, let us have a dice game. Lord Shiva obliged her and the game started. Meanwhile, the priest of the temple had come there. Parvati turned towards him and said Please foretell who will win this game? 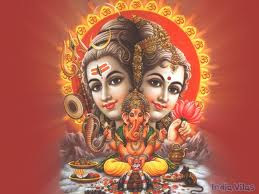 The Brahman gave no serious thought to her question and abruptly said, Lord Shiva will win the game. Incidentally Parvati won the game. She was angry because the Brahman had told a lie. Lord Shiva tried to pacify her, but she cursed the Brahman that he be a leper. In due course, the Brahman became a leper and spent a miserable life. After some time a few fairies descended on the earth and pitied the fate of the priest. On asking him, the priest narrated the whole episode. One of the fairies said, You observe Monday fasts for sixteen weeks without break. On the seventeenth Monday, prepare some holy food or Prasaad with flour mixed with ghee and gur. Distribute this prasaad among the members of your family and take some yourself. You will be free from this leprosy. The fairies disappeared and the priest followed the instructions. Soon, he regained his normal health. 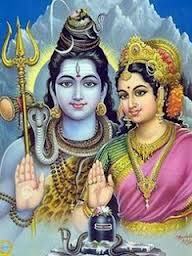 Once Lord Shiva and Parvati again visited that temple. Parvati was surprised to see the priest. He was his normal self. She enquired about this feat and the priest narrated the whole story. Parvati was happy, she also decided to observe Monday fasts for sixteen weeks. Incidentally, on the seventeenth Monday, when she broke her fast, her beloved son Kartikeya, who was displeased with her, appeared and said, 0 dear mother what is that power with which you have called me? What is the mystery? 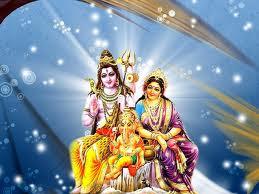 Parvati said, 0 my dear son, all this miracle is due to observing Monday fasts for sixteen weeks without interruption. Kartikeyas Brahman friend had been in a foreign land for quite some time. Kartikeya said, I shall observe Monday fasts for sixteen weeks for happy reunion with my friend. He observed the 16 weeks fasts as per rules and to his great surprise his friend returned hale and hearty. The friend enquired about the miracle and Kartikeya told him the modalities to be observed for Monday fast. The Brahman friend was very curious about his marriage. He decided to observe the Monday fasts for sixteen weeks. On the seventeenth Monday, the Brahman friend went to a city. The ruler of the city decided to marry his daughter to a person on whose neck his well-decorated elephant would put the garland. The Brahman joined the show. Incidentally, the elephant garlanded him. The ruler of the city gave him his daughter and also a lot of money. The couple departed the next day and were back in their home. On the honeymoon night, the bride said, 0 my dear, how is it that the elephant ignored all the princes and garlanded you? How did you succeed on the auspicious moments? The bridegroom said, I observed fasts on sixteen Mondays. 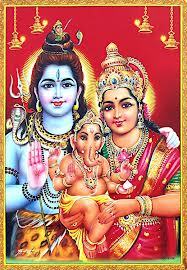 Monday is Lord Shivas day. It is due to his blessings that I got a beautiful wife like you. My friend Kartikeya revealed this secret to me. The bride too decided to observe fasts on sixteen Mondays for a beautiful son full of knowledge. Her devotion bore fruit and she gave birth to a beautiful son. As the son grew up, he said to his mother, 0 my dear mother, what is the mystery behind my birth? Please reveal it to me. The mother told him how she observed Monday fasts. The son also decided to observe the fasts to gain a kingdom for his parents. Incidentally, an old kings messengers from a nearby State came there in search of a beautiful and learned bridegroom for the princess. They proposed the princess hand for him and he readily agreed. The king expired after sometime and the boy became the king. The newly-made king continued his fasts for the next sixteen Mondays. On the seventeenth Monday, he arranged a large prayer party at a temple. All the arrangements were made well in advance. The king requested the queen to accompany him to the temple for breaking the fast after taking prasaad from the priest. The queen refused to go with him. The king had to go alone. The king heard an oracle who echoed, 0 king, turn out the queen from the palace or destruction will fall upon you. The king returned to his palace. He summoned a conference of his ministers and told about the oracle. All of them were taken aback, as it was due to that princess that he became the king of the state. They agreed to his proposal only with a heavy heart. The queen was ultimately turned out. The queen left the palace bare footed and in worn-out clothes. She was thirsty and fatigued. She met an old lady who had a load of spinned spindles on her head. She was going to the city. She felt pity on her and asked to help her in selling the yarn because she did not know the art of selling. The queen took that load on her head. Incidentally, strong wind blew away the spindles which disappeared in the dusty wind. The queen felt sorry and the old lady asked her to go away. The queen went to an oilmans house and sought shelter. The oilman obliged her, but as she stepped in, all of his oil pots developed cracks and the oil began to flow on the ground. The oilman immediately turned her out. The queen was now disheartened. She went to the bank of a river to quench her thirst. As she touched the water, the water dried up. She then went to a deep jungle and saw a tank of water. As she went down the stairs and touched the crystal dear water, it became muddy. She cursed her fate and put a few drops of the muddy water in her mouth. She was now tired and wanted to take rest under a shady tree. As she went near the tree its leaves began to fall and soon it became leafless. The cowherds saw this incident and told the whole story to the priest of a nearby temple. The priest called for the woman. He was surprised to see that the woman had royal features. He consoled her and provided her with all the facilities. But after some days, he also got fed up with her because whatever the woman touched became impure — may it be milk, food or water. One day, the priest said, 0 lady, what curse has fallen upon you? You reveal the mystery. The woman told him how she rejected a proposal to attend Monday fast prayer. The priest understood the whole thing. He knew it was Shivas curse. He said, 0 dear lady, you observe fasts on sixteen Mondays and Lord Shiva will absolve you of your sins. The woman realised her mistake and observed the Monday fasts for sixteen Mondays. On the seventeenth Monday, the king said to himself, My queen left my palace long ago. Her condition must be very miserable. He called for his courtiers and ordered them to search out the queen. The courtiers reached the temple where the queen was residing. The priest refused to hand over the queen to them and said, Let the king himself come to receive her. The courtiers went to the king and related the whole story. The king was happy to hear the news. He went to the temple and requested the priest to return his queen to him. The king admitted that he deserted the queen to avoid Lord Shivas wrath. The priest trusted the kings words and the queen returned to the palace. She was given a royal welcome. The king distributed money among the needy and arranged food for the hungry. The king and queen now regularly observed fasts on sixteen Mondays each year and lived a very happy life. After their death they found abode in Lord Shivas city, Shivapuri. Since, then it is believed that a person who observes fasts on sixteen Mondays, gets all pleasures and enters Shivapuri after his death. Devotee is expected to wake up early in the morning, and take bath. After that, devotee should go to Shiva temple. If you are unable to go temple then you can perform puja at home too. 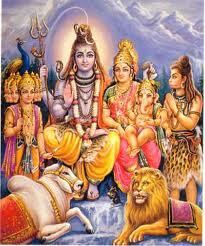 On all Mondays,detailed puja is performed with 16 offerings to Lord Shiva. Recital of Katha is also a part of puja. During the fast devotees are allowed to eat fruit, milk, thick sweet roti (naivedyam, prepared of jaggery), but, consumption of salt is strictly prohibited. Naivedyam is a Shiv prasad which is equally divided into three parts, before offering it to god. From three parts, one part is offered to the god, one part is distributed among friends and relatives and the third part is eaten by the devotee. You can eat a complete meal after breaking your fast in the evening. On the 17th Monday, the devotee offers a mahapuja to Shiva at a Shiva temple. You can also contact the local priest for more specific details pertaining to this fast. This fast is done to please Lord Shiva, the god who can easily be pleased. It is said one who observes this fast gets his/her wish fulfilled in no time. Once you start the fast, then it is essential to complete 16 Mondays, otherwise you may be deprived of receiving shiv shakti blessings to boost your luck.